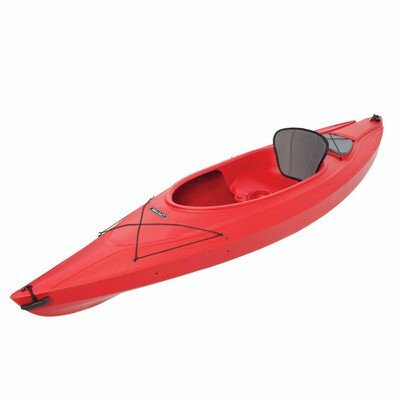 Enjoy the beauty of kayaking in this super Edge Sit-Inside Red Kayak, that will never attract and get damaged by ultraviolet rays, because it consists of material that is UV protected. It is very easy to carry and handle, has a very large cockpit with lots of space for legs and luggage, and it has an enclosed area with cover. The keel is sharp and does not peel or crack.